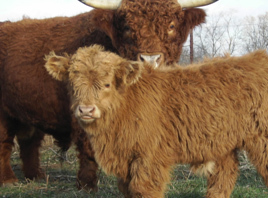 The origin of Highland cattle dates back to approximately the 12th century. 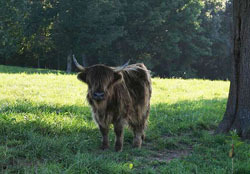 Its hairiness and long horns proved necessary for survival in the rough regions of Northwest Scottland’s islands and mountains. 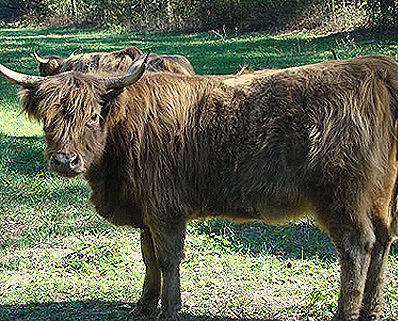 The most noticeable traits are the long shaggy hair and their long horns. 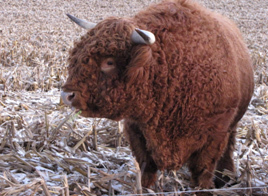 They have short legs, small ears, and a large foretop that covers the face. 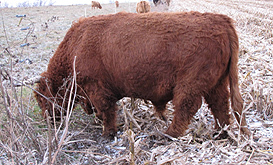 The common colors are dun, yellow, silver, white, red, and brindle. 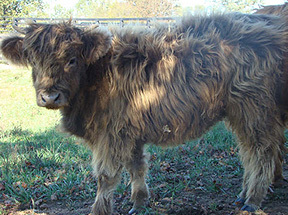 The heavy coat gives the breed an added feature of extra lean beef since the Highland doesn’t have to deposit fat subcutaneously to keep warm. 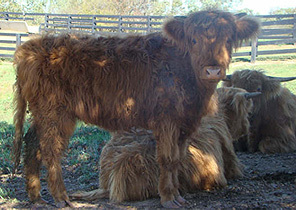 The Highland cow has a hearty durable character. 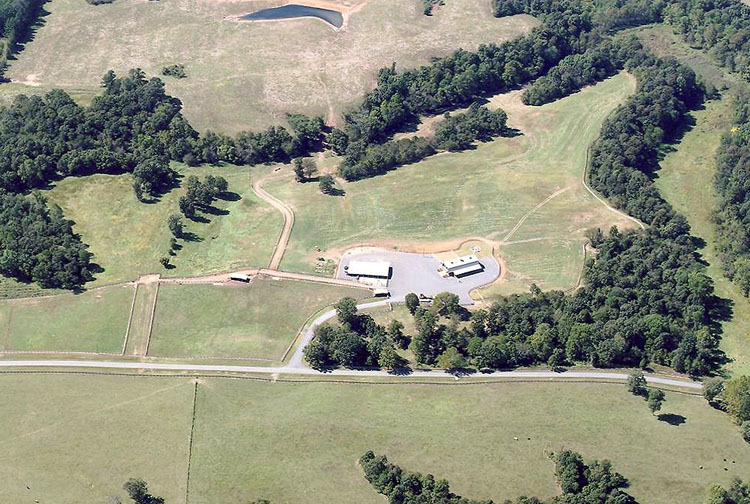 This breed is very disease resistant and is often left out to pasture without shelter, feed supplements, or grains. 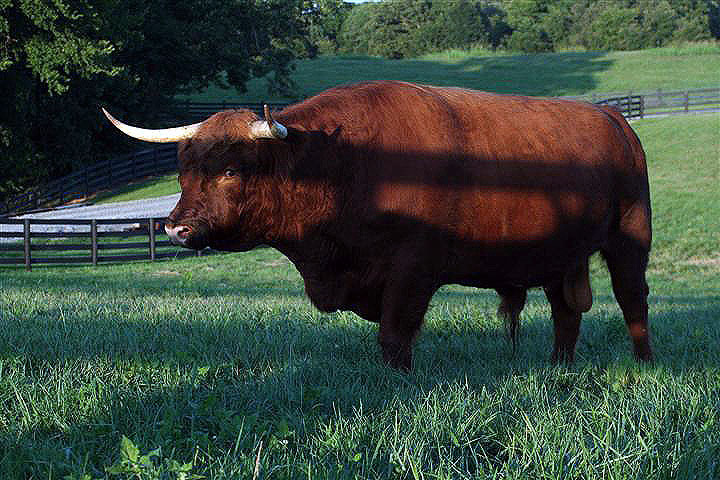 The average bull weight is 2,280 pounds and a cow’s average weight is 1,100. They were introduced in the United States in 1922. 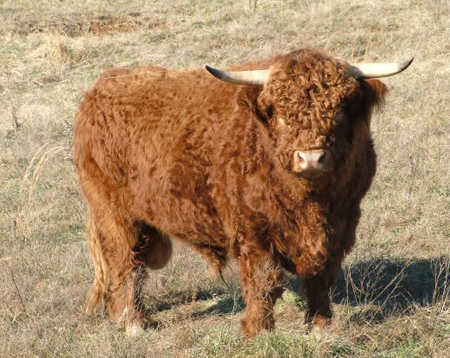 Our interest in these cattle arose while we were visiting Scotland in 1999 and witnessed these interesting hairy cows wondering the landscape of Northern Scotland with the sheep and in particular roaming free on the Isle of Skye. We had to stop on the roads several times to let them pass, giving us an up close and personal view of these beautiful animals.